Draft: 2004, Cincinnati Reds, 1st rd. Over the last 3 seasons has made 26 starts for the Reds while recovering from 3 surgeries, on 9/5/14 to repair the torn flexor tendon in his right forearm, on 5/8/15 to repair the torn ulnar collateral ligament in his right elbow ("Tommy John") and on 2/18/17 to remove small bone spurs in his right elbow...threw no-hitters in a 1-0 win on 9/28/12 at Pit and in a 3-0 win on 7/2/13 vs SF...holds the franchise record for strikeouts in a Postseason game (10, 2012 NLDS vs SF, Game 3)...was National League Player of the Week the last week of the 2009 season and then following both no-hitters...was selected by the Reds in the first round (7th overall) of the June 2004 first-year player draft...that summer was USA Today's High School Player of the Year...received the 2006 Sheldon "Chief" Bender Award as the organization's Minor League Player of the Year and that season was voted by Baseball America as the top prospect in both the Southern League and Florida State League...in 2006 was a Baseball America Minor League All-Star and Class AA All-Star...in a Baseball America 2006 in-season poll was voted Best Pitching Prospect and Best Fastball in the Florida State League...was the winning pitcher in Major League Baseball's 2006 All-Star Futures Game in Pittsburgh...pitched in the 2006 Florida State League All-Star Game...was the organization's Minor League Pitcher of the Month for June 2006...was Southern League Pitcher of the Week for 6/26-7/2, 2006...after each of his first 3 professional seasons (2004-06) was rated by Baseball America as the top prospect in the Reds' minor league system...after his fourth season (2007) was rated the second-best prospect in the organization, behind OF Jay Bruce...his given name is David...is called Homer after his great-grandfather...in 2004 graduated from La Grange (TX) High School...in his prep career went 41-4, 0.98 with 536 strikeouts in 298.0 innings...led La Grange to Texas state baseball titles in 2001 and 2004...as a freshman outdueled Reds 2003 top draft pick Ryan Wagner in the championship game...also led La Grange to the state title as a senior, when he was named National High School Player of the Year by USA Today, Baseball America, Louisville Slugger and the National High School Coaches' Association...also in 2004 was the Tri-County and Texas' 3A Player of the Year and Most Valuable Player of the district and state tournaments. Began this season on the 60-day DL while recovering from 2/8/17 arthroscopic surgery to remove small bone spurs from his right elbow...following rehab starts on 6/9 for Pensacola, 6/14 for Dayton and 6/19 for Louisville came off the disabled list on 6/24 to make his season debut in an 18-3 loss at Wsh...on 8/22 vs Chi didn't allow a run but as a precautionary move left the game after the third inning with irritation in the back of his right shoulder...pitched again 8 days later and wasn't hampered by the injury the rest of the season...in his last 7 starts of the season beginning 8/22 went 2-3, 3.58, including a season-high 7.0 innings in his final start...finished the year with 7.0 shutout innings in a 6-0 win on 9/27 at Mil...in that start threw 7.0 innings for the first time since 8/7/14 vs Cle...on 7/26 at NYY (6+ip, 0k), for only the second time in his career threw at least 6.0 innings without recording a strikeout (9/23/09 at Pit, 6ip)...his 7 quality starts tied Tim Adleman for third on the staff behind Scott Feldman (9qs) and Luis Castillo (8qs). Made all 6 of his starts for the Reds from 7/31-8/28...didn't pitch for the Reds during spring training and began the season on the disabled list while recovering from 5/8/15 "Tommy John" surgery to repair the torn ulnar collateral ligament in his right elbow...made rehab apps for Louisville on 4/21 and for Pensacola on 4/26 but then because of soreness didn't pitch again until 6/27, when he began a stretch of 6 consecutive rehab starts for Louisville that concluded on 7/25...threw a bullpen on 7/27 in SF and the next day was reinstated from the disabled list...in his season debut on 7/31 at SD, pitched into the sixth inning and during one stretch retired 15 consecutive batters...was his first appearance since 4/23/15 and his third start since a 4-0 win vs Cle on 8/7/14...made his last appearance of the season on 8/28 at Ari, threw 1.0 inning in the second-shortest of his career...skipped a scheduled start on 9/3 vs StL with right biceps tendinitis and didn't pitch again the rest of the year. Was limited to 1 minor league rehab start and 2 starts for the Reds because of right elbow injuries that led to "Tommy John" surgery on 5/8 to repair the torn ulnar collateral ligament in his right elbow...began the year on the disabled list while recovering from 9/5/14 surgery to repair the torn flexor tendon in his right forearm...didn't pitch for the Reds in spring training, though on 3/22, 3/27 and 4/1 he pitched in minor league games, followed by a simulated game at the Goodyear complex on 4/6 (5ip, 76 pitches)... made a rehab start for Louisville on 4/12 before his Reds season debut on 4/18...made his 2 starts for Cin on 4/18 at StL and on 4/23 at Mil before he returned to the DL on 4/27 with a right elbow ligament sprain...2 days later was transferred to the 60-day DL to provide a roster spot for RHP Michael Lorenzen...in his season debut, when he retired StL's Yadier Molina leading off the second inning recorded his 1,000th career inning pitched. Made just 23 starts, his fewest since 2011, because of an injury to his right forearm...made his last start of the season in the 4-0 win on 8/7 vs Cle and allowed 4 hits in 7.0 innings (1bb, 8k)...missed his next scheduled start before he went on the 15-day disabled list on 8/16, then on 9/5 had season-ending surgery to repair the torn flexor tendon in his right forearm...finished the season with an 11.0-inning scoreless streak and 1.1 innings shy of 1,000 for his career...in his last 7 starts of the season went 2-1, 1.62 to drop his ERA from 4.80 to season-ending 3.71...produced 14 quality starts...left his final appearance before the All-Star break with a slightly strained right knee but didn't miss a start until he was disabled with the forearm injury...from 5/23-6/8 tied his career high by winning 4 straight starts...in the 4-0 win on 6/29 at SF threw a 3-hitter for his sixth career complete game and fourth career shutout, didn't allow a hit until Buster Posey singled with 2 outs in the seventh inning...on 7/5 vs Mil struck out Scooter Gennett, the first batter of the game, for his 800th career strikeout...on 4/27 at Atl was ejected, along with manager Bryan Price, after Johnny Cueto's failed pickoff attempt of B.J. Upton "stood" after replay review...made 3 spring training starts before he was sidelined with a strained right groin...didn't pitch for the Reds after 3/10 but threw in a minor league game in Goodyear on 3/24 and then again on 3/29 in an exhibition game in Louisville vs the Bats...made his first start on 4/3 vs StL in the Reds' third game of the season...during spring training agreed to a 6-year contract through the 2019 season, avoiding arbitration, with a mutual option for 2020. For the second straight season established career highs in innings pitched and strikeouts...threw his second career no-hitter in a 3-0 win on 7/2 vs SF...was 1 of 4 active players in 2013 with a pair of no-hitters (Roy Halladay, Justin Verlander, Mark Buehrle)...SF's Tim Lincecum (7/13 at SD) and Mia's Henderson Alvarez (9/29 vs Det) threw the season's only other no-hitters...ranked T7th in the National League in strikeouts...fell 1 shy of becoming only the 11th pitcher in Reds history with 200 strikeouts in a season...would have been the first since Edinson Volquez in 2008 (206)...through 29 starts produced a strikeouts-to-walk ratio of 4.52 (190k, 42bb), the best in Reds history by pitchers with a minimum of 150ip, but then issued 4 walks in each of his last 3 starts of the season to finish at 3.69...Joe Nuxhall holds the club record with a strikeouts-to-walk ratio of 4.33 (1963, 169k, 39bb)...in 9 starts from 7/31-9/14 went 6-0, 2.60...the 6-game winning streak was a career high and tied Mat Latos' (4/24-6/8) for the longest by a Reds pitcher in 2013...in consecutive starts on 8/30 at StL and 9/3 vs StL threw at least 7.0 innings with 0 runs allowed and at least 7 strikeouts, the first Reds pitcher to produce consecutive such starts since Jim Maloney did it in 3 straight in September 1968...in his 32 starts the Reds were shut out 4 times, 10 times scored 0 or 1 run and 15 times scored 2 runs or fewer...in the 1-0 walkoff win on 4/16 vs Phi pitched 8.0 scoreless innings and in the 3-2 walkoff loss on 5/19 at Phi threw 7.0 scoreless innings but was the victim of a blown save...from 8/30-9/8 threw a career-high 17.1 consecutive scoreless innings...following his no-hitter shared with Atl's Brian McCann the National League's Player of the Week Award...was his third career weekly award...as a batter, ranked T5th in the National League with a career-high 11 sacrifice bunts...was not on the Wild Card playoff roster. Established career highs in wins, starts, quality starts (21), innings pitched and strikeouts ... led the National League with a 2.32 road ERA and tied for the league lead in starts ... was part of a staff in which 5 pitchers started 161 of the club's 162g (Bronson Arroyo, Johnny Cueto, Mat Latos, Mike Leake) ... the Reds became only the eighth team in Major League history to produce 5 pitchers with at least 30 starts each (1977 Dodgers, 1980 A's, 1993 Dodgers, 2003 Mariners, 2005 Cardinals, 2005 Indians, 2006 White Sox) ... the Reds used 6 or fewer starting pitchers in a season for only the fourth time since 1900 (1900, 1942, 1951, 2012) and were the only team in the Major Leagues in 2012 to use as few as 6 starting pitchers ... finished the season with a career-high 13.0 consecutive scoreless innings ... won 13 games and a staff-high 6 times was the victim of blown saves ... in his 33 starts the Reds went 18-15 and scored 137 runs (4.15 r/g) ... received votes for National League Pitcher of the Month for July (6gs, 4-0, 2.61) ... from 7/2-7/20 won 4 straight starts for the first time in his career ... that streak was snapped on 7/25 at Hou, when he left leading 2-0 but became the victim of a blown save in the 5-3 win...was the winning pitcher in the franchise's 10,000th victory, a 9-4 win on 4/20 at Chi ... was the winning pitcher in the Reds' 1,000th win vs Pit, an 8-1 victory on 5/29 at PNC Park ... on 5/3 vs Cubs participated in the first game in Major League history in which both starting pitchers celebrated birthdays, Bailey turned 26 and Chi's Ryan Dempster 35 ... a game-used baseball autographed by both is in the Hall of Fame in Cooperstown ... in the 4-2 win vs StL on 7/15 (8ip, 1er) started instead of Johnny Cueto, who a day earlier was scratched with a blister on his right index finger ... his 10-8 win on 8/10 at Chi snapped the Reds' season-high 5-game losing streak ... on 8/5 vs Pit suffered the 6-2 loss in his 100th career start ... in the Division Series vs SF started the 10-inning, 2-1 loss in Game 3 and recorded 10 strikeouts (7ip, 1bb), the most ever by a Reds pitcher in a Postseason game ... broke the club record of 9 strikeouts in a playoff game shared by Hod Eller (Game 5, 1919 World Series) and Jose Rijo (Game 4, 1990 World Series) ...from the fourth through sixth innings recorded 6 consecutive outs by strikeout, tying Eller's club record set in Game 5 of the 1919 World Series...became only the fourth pitcher in Major League Postseason history to allow 1 or fewer hits with at least 10 strikeouts over at least 7.0 innings ...joined Bal's Mike Mussina (1997 ALCS vs Cle, 8ip, 1h, 10k), NYY's Orlando Hernandez (1999 World Series vs Atl, 7ip, 1h, 10k) and NYY's Roger Clemens (2000 ALCS vs Sea, 9ip, 1h, 15k) ... in that NLDS Game 3 loss, 4 Reds pitchers combined for 16 strikeouts to set a club record for a Postseason game (12k, Game 1, 1990 NLCS vs Pit). Despite a pair of stints on the disabled list established single-season career highs in moststatistical categories, including starts (22), quality starts (13), wins (9), innings pitched (132.0) and strikeouts(106)...twice was the victim of blown saves...in his 22 starts the Reds went 12-10 and scored 133 runs (6.05r/g)...was on the disabled list twice with right shoulder injuries (3/30-5/4, 5/28-6/25)...began the season onthe 15-day DL with an impingement in that shoulder...from 4/17-4/30 made 3 rehab starts for Louisville (2-0,0.54, 16.2ip, 11h, 1er, 4bb, 14k, 0hr)...was reinstated on 5/5 and started that afternoon's 10-4 win vs Hou...went 3-1, 3.00 in 5 starts for the Reds before he returned to the DL on 5/28 with a sprained right shouldersuffered during a plate appearance on 5/26 at Phi...from 6/11-6/21 made 3 more rehab apps for Louisville(0-1, 6.08, 13.1ip, 23h, 9er, 2bb, 8k, 1hr)...came off the DL on 6/26 and that afternoon at Bal suffered the 7-5loss...spent the rest of the season with the Reds and in his last 17 starts went 6-6, 4.85...as a batter producedhis first 2 career multi-hit games, had 2 hits on 8/24 at Fla and a career-high 3 hits on 9/20 vs Hou...overallhit .282 (11-39) and tied Mike Leake for second on the staff in hits behind Dontrelle Willis (12). From 5/24-8/14 was on the disabled list with inflammation in his right shoulder...went 1-2,5.51 in 9 starts before he went on the DL and 4-1, 3.55 in 10 starts after he came off the DL...on 9/15 vs Arileft after 3.0 innings with dizziness but didn't miss a start...made a rehab start on 6/8 at Syracuse (4.1ip, 6h,5er, 2bb, 3k) but was bothered by soreness and on 6/12 was returned from that rehab assignment...on 7/26began another rehab assignment with a start for Dayton, then was transfered to Louisville the next day...madehis last 3 rehab apps, including 2 starts, for Louisville...his appearance on 8/10 for Louisville was his first inrelief since 2005, his second professional season...in his first appearance after he came off the DL, on 8/15vs Fla, took the spot in the rotation vacated by Johnny Cueto, who was serving a suspension...produced 8quality starts, including 3 in his last 5 apps...3 times was the victim of blown saves...in his 19 starts the Redswent 14-5 and scored 106 runs (5.58 r/g)...his 3-1 win on 8/20 at LAD snapped the Reds' 12-game losingstreak at Dodger Stadium dating back to 2005...in his final appearance of the season, on 10/2 vs Mil, recordeda career-high 10 strikeouts...in the 5-0 victory on 5/12 at Pit threw a 4-hitter for his first career complete game(0bb, 6k, 90 pitches, 73 strikes)...faced just 29 batters...allowed 3 singles and a double...was the Reds' secondconsecutive complete-game shutout...the night before, Cueto threw a 1-hitter in a 9-0 win vs the Pirates (0bb,8k)...they became the first Reds duo to throw consecutive shutouts without issuing a walk since 1925, whenJakie May (7/27 vs Cardinals) and Dolf Luque (7/28 vs Phillies) did it...made his first Major League reliefappearance in the sixth inning of Game 3 of the National League Division Series vs Phi...in that deciding 2-0loss pitched 2.0 scoreless innings (2h, 0bb, 2k) in relief of starter Johnny Cueto. For the Reds and Class AAA Louisville combined to throw 203.0 innings in 34 starts (202 H, 168 K)...in his last 9 starts of the season beginning 8/23 went 6-1, 1.70 and twice was the victim of blown saves...his sterling 1.70 ERA was the best in the Major Leagues over that span...won the National League's Player of the Week Award for the last week of the season after allowing just 1 earned run over 13.0 innings (14K) in a 7-2 win vs StL and a 6-0 win over the Pirates...in his 20 starts the Reds went 9-11 and scored 99 runs (4.95 R/G)...had 10 quality starts, including each of his last 4 apps and 7 of his last 9 apps...a team-high 3 times was the victim of blown saves...began the year at Louisville, where he went 3-5, 4.57 with 2 complete games and a shutout in 8 starts before he was promoted on 5/22...started the 7-6 loss vs Cle on 5/23, then was optioned back to Louisville the next day...made 6 more starts for the Bats (5-0, 0.81) before he was recalled again to start on 6/27 at Cle...finished the season in Cin...on 8/12 at StL left the game after 3 batters when he was hit on the left foot by an Albert Pujols Comebacker...didn't miss a start...as a batter, in the 10th inning of the 11-inning, 6-4 loss vs Col pinch hit and struck out vs Franklin Morales...in 14 apps overall for the Bats went 8-5, 2.71 with 2 CG and 1 SO...produced 11 quality starts, including quality starts in each of his last 7 apps there (5-1, 1.07)...in his first start of the season for Louisville allowed a season-high 8 earned runs in 5.1 innings (13.50era)...in his last 13 starts for the Bats posted a 2.03 ERA...in 6 minor league starts between his 5/22 and 6/27 promotions went 5-0, 0.81...twice was named the International League's Pitcher of the Week. Entered the season rated by Baseball America as the second-best prospect in the organization,behind OF Jay Bruce, and by Baseball America, Baseball Prospectus and ESPN.com as the ninth-best prospectin all of baseball...spent most of the season at Class AAA Louisville (19gs, 4-7, 4.77)...made 8 starts during 2stints with the Reds (0-6, 7.93)...from 6/5-6/17 filled in for injured starter Josh Fogg and from 7/13-8/9 took thespot vacated by the disabled Aaron Harang...from 8/24-9/2 was on Louisville's disabled list with a sprainedmedial collateral ligament in his right knee, an injury that prevented a September promotion...between a 4-3victory for Louisville on 4/30 vs Toledo and a 19-3 win on 9/4 vs Durham in Game 2 of the International Leagueplayoffs made 21 starts without a victory (13gs for Louisville, 8gs at Cin)...in his 8 starts the Reds went 0-8,scored 14 runs (1.75 r/g) and twice were shut out...produced 2 quality starts...twice was the victim of blownsaves...became the first Reds pitcher to finish a season with as many as 6 losses without a win since rookieBrian Reith ended the 2001 campaign 0-7...in a 5-1 loss vs Col on 7/26 allowed 15 hits (4.2ip), the most bya Reds pitcher since Jimmy Anderson gave up 15 hits on 6/26/03 at StL and the most by a Reds righthandersince Mario Soto allowed 15 hits on 9/6/82 vs LAD...became only the second Reds pitcher since 1900 to allowat least 15 hits in fewer than 5.0 innings pitched (Eppa Rixey, 15 hits in 4.1ip, 5/26/27 at Wrigley Field)...on4/30 vs Toledo recorded a season-high 10 strikeouts (7ip). For the third straight season was rated the top prospect in the organization by BaseballAmerica...finished the year rated the second-best prospect in the International League behind OF Jay Bruce...made 14 starts in the minor leagues and in his Major League debut made 9 starts for the Reds...for Cin from6/8-7/7 went 2-2, 6.99 in 6 starts and from 9/20-9/30 went 2-0, 3.71 in 3 starts...twice was on Louisville'sdisabled list with a strained right groin (5/14-5/21, 7/19-8/23)...after his second stint on Louisville's DL made hislast 2 minor league starts of the season for Sarasota in the Florida State League...following the minor leagueseason remained in Sarasota and pitched in simulated games until he was promoted again on 9/20 for a startthat night in SF...in his 9 starts the Reds went 5-4 and scored 49 runs (5.4 r/g)...in 3 of his 9 starts was thevictim of blown saves...began the year at Louisville and went 6-1, 2.31 in 10 starts before he was promotedon 6/8...that night made his ML debut with a 4-3 victory over the AL Central-leading Indians (5ip, 5h, 2er, 4bb,3k)...took the spot in the rotation that had been filled by Eric Milton, Bobby Livingston and Kirk Saarloos...made 6 starts for the Reds (2-2, 6.99) before he was optioned to Louisville following his appearance on 7/7,the Friday prior to the All-Star break...made his first 2 Major League starts against first-place teams...in additionto his 4-3 win vs Cle, on 6/14 vs LAA was the victim of a blown save in the 9-7 loss...when he left his secondappearance with the lead was in line to become the first Reds pitcher to win his first 2 big league starts sinceLarry Luebbers in 1993...made his Major League debut at 21 years, 36 days old...was the youngest Redspitcher to make his debut since reliever Ryan Wagner on 7/19/03 vs Hou (21 years, 4 days; 1.2ip, 1k) and theyoungest Red to debut as a starter since Milt Wilcox on 9/5/70 vs SD (20 years, 138 days)...with that 4-3 victoryvs Cle became the first Reds pitcher to win in his Major League debut since reliever Hector Carrasco (4/4/94vs StL, 5-4 win), the first Reds starter to win in his ML debut since Larry Leubbers (7/3/93 vs Pit, 5-3 win) andthe first Reds pitcher to win his first big league start since Matt Belisle (4/13/05, 6-5 win at StL)...struck out hisfirst career batter faced, Grady Sizemore...in his finalinning in that debut struck out Dave Dellucci with 2 outsand the bases loaded to preserve his 3-2 lead...thecrowd of 38,696 was just shy of a sellout...was 1 of 10Reds players to make Major League debuts (OF JoshHamilton, RHP Jared Burton, LHP Jon Coutlangus,RHP Brad Salmon, RHP Marcus McBeth, LHP PhilDumatrait, RHP Tom Shearn, 1B/OF Joey Votto, C Ryan Hanigan)...was named Louisville's Pitcher of the Month for May (5gs, 4-0, 2.03)...won 5 consectivedecisions for the Bats to earn his 6/8 promotion...recorded his first career hit on 7/1 vs StL (singled off MikeMaroth) and his first career RBI on 9/25 vs Hou (2-run double off Felipe Paulino)...in post-season ratings byBaseball America, his fastball and curveball were voted the best in the organization. Entered the season as the organization's top prospect and received the Sheldon "Chief" BenderAward as its Minor League Player of the Year...combined to go 10-6, 2.47 in 26 starts split evenly betweenClass A Sarasota and Class AA Chattanooga...was a Baseball America Minor League and Class AA All-Star...in a Baseball America in-season poll was voted Best Pitching Prospect and Best Fastball in the Florida StateLeague...was the winning pitcher in Major League Baseball's All-Star Futures Game in Pittsburgh...pitched aninning in the Florida State League All-Star Game (12 pitches, 10 strikes)...was the organization's Minor LeaguePitcher of the Month for June (4gs, 3-0, 0.56, 26ip, 9h, 28k)...didn't allow a run in 11 of his 26 starts...3 timesthrew 6.0 hitless innings and in another start allowed 1 hit in 7.0 innings...began the season with the FSL Redsand made his 13 starts there before he was promoted in June...on 6/22 vs Carolina threw 6.0 scoreless inningsin his Class AA debut...in that start, his 96th and final pitch was clocked at 98mph...didn't allow a run in hisfirst 3 starts at Chattanooga (17ip)...was Southern League Pitcher of the Week for 6/26-7/2...twice recordeda season-high 11 strikeouts, on 5/8 at Jupiter (6ip) and 8/13 vs Tennessee (5ip)...in his last appearance ofthe season, on 9/2 at West Tenn, allowed 4 runs without retiring a batter (3h, 4bb)...his ERAs excluding thatfinal appearance drop to 1.06 for Chattanooga and 2.21 for the season...following the season was voted byBaseball America as the top prospect in both the Southern League and Florida State League. Entered the season ranked by Baseball America as the organization's top prospect...spent the year at Class-A Dayton and went 8-4, 4.43 in 21 starts and 7 relief apps...held Midwest League opponents to a .232 batting average...following the season was named by Baseball America as the second-best prospect in the MWL. In his first professional season went 0-1, 4.38 in 6 apps, including 3 starts, for the Gulf Coast League Reds...on 7/22 signed his first professional contract. April 3, 2019 Kansas City Royals selected the contract of RHP Homer Bailey from Omaha Storm Chasers. February 9, 2019 Kansas City Royals signed free agent RHP Homer Bailey to a minor league contract and invited him to spring training. 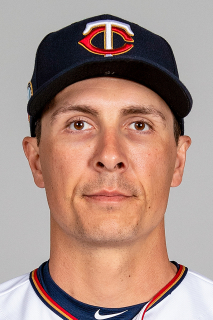 February 9, 2019 RHP Homer Bailey assigned to Omaha Storm Chasers. July 24, 2018 Cincinnati Reds activated RHP Homer Bailey from the 10-day disabled list. June 23, 2018 Cincinnati Reds sent RHP Homer Bailey on a rehab assignment to Louisville Bats. June 11, 2018 Cincinnati Reds sent RHP Homer Bailey on a rehab assignment to Louisville Bats. June 2, 2018 Cincinnati Reds placed RHP Homer Bailey on the 10-day disabled list retroactive to May 30, 2018. Right knee inflammation. June 24, 2017 Cincinnati Reds activated RHP Homer Bailey from the 60-day disabled list. June 19, 2017 Cincinnati Reds sent RHP Homer Bailey on a rehab assignment to Louisville Bats. June 14, 2017 Cincinnati Reds sent RHP Homer Bailey on a rehab assignment to Dayton Dragons. June 9, 2017 Cincinnati Reds sent RHP Homer Bailey on a rehab assignment to Pensacola Blue Wahoos. February 14, 2017 Cincinnati Reds placed RHP Homer Bailey on the 60-day disabled list. Right elbow surgery. July 28, 2016 Cincinnati Reds activated RHP Homer Bailey from the 60-day disabled list. June 27, 2016 Cincinnati Reds sent RHP Homer Bailey on a rehab assignment to Louisville Bats. April 26, 2016 Cincinnati Reds sent RHP Homer Bailey on a rehab assignment to Pensacola Blue Wahoos. April 21, 2016 Cincinnati Reds sent RHP Homer Bailey on a rehab assignment to Louisville Bats. November 2, 2015 Cincinnati Reds activated RHP Homer Bailey from the 60-day disabled list. April 29, 2015 Cincinnati Reds transferred RHP Homer Bailey from the 15-day disabled list to the 60-day disabled list. Right elbow ligament sprain. April 27, 2015 Cincinnati Reds placed RHP Homer Bailey on the 15-day disabled list retroactive to April 25, 2015. Right elbow ligament sprain. April 18, 2015 Cincinnati Reds activated RHP Homer Bailey from the 15-day disabled list. April 12, 2015 Cincinnati Reds sent RHP Homer Bailey on a rehab assignment to Louisville Bats. October 30, 2014 Cincinnati Reds activated RHP Homer Bailey from the 60-day disabled list. October 2, 2013 Cincinnati Reds activated RHP Homer Bailey. October 1, 2013 Cincinnati Reds reassigned RHP Homer Bailey to the minor leagues. June 26, 2011 Cincinnati Reds activated RHP Homer Bailey from the 15-day disabled list. June 11, 2011 sent RHP Homer Bailey on a rehab assignment to Louisville Bats. May 5, 2011 Cincinnati Reds activated RHP Homer Bailey from the 15-day disabled list. April 17, 2011 sent RHP Homer Bailey on a rehab assignment to Louisville Bats. March 30, 2011 Cincinnati Reds placed RHP Homer Bailey on the 15-day disabled list retroactive to March 24, 2011. Right shoulder impingement. August 15, 2010 Cincinnati Reds activated RHP Homer Bailey from the 15-day disabled list. July 29, 2010 Dayton Dragons sent RHP Homer Bailey on a rehab assignment to Louisville Bats. July 26, 2010 Cincinnati Reds sent RHP Homer Bailey on a rehab assignment to Dayton Dragons. June 8, 2010 sent RHP Homer Bailey on a rehab assignment to Louisville Bats. June 27, 2009 Cincinnati Reds recalled RHP Homer Bailey from Louisville Bats. May 24, 2009 Cincinnati Reds optioned Homer Bailey to Louisville Bats. May 22, 2009 Cincinnati Reds recalled Homer Bailey from Louisville Bats. July 19, 2004 Cincinnati Reds signed RHP Homer Bailey.